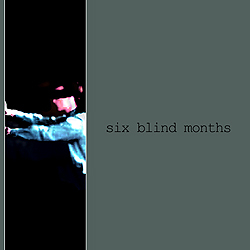 Six Blind Months is the culmination of six months of interaction and exchange. Each track contained on this release is based on a collaboration idea, defined by a set of rules, and executed over the course of a month. Murch – Each participant was to supply a 12 minute submission where any nine of those minutes contained sound, with a total of three minutes of silence occuring at any point, and in any interval or duration, in the piece. Contributing artists were: SIGHUP, Normal, Mystahr and Controlled Dissonance. Aoril – A willing guest participant contributes a two minute piece to work as the base material. The first regular participant creates a four minute track, using the original two minutes of material somewhere in the track. The next participant creates a six minute track using the previous four minute track, etc. While mostly adhered to, the rules were partially ignored in terms of track length for this project. Contributing artists were: SIGHUP, Respirator, Normal, Mystahr and Controlled Dissonance. Moy – A “solitary confinement” method where one participant records a piece and each of the remaining participants records an accompanying piece, without the benefit of hearing one another”s contributions. The final track was a blind mix of all submissions. Contributing artists were: SIGHUP, Respirator, Normal, Mystahr and Controlled Dissonance, with special mystery guest Enigma. Jine – The lead participant recorded a base track and sent the other participants a descriptor of their contribution (a color, an adjective, an emotional state, etc…). Each of these participants created a series of three pieces, each three to four minutes in length, which were submitted to be included in the final mix, ultimately titled “Crimson tattered detachment”. Contributing artists were: SIGHUP, Normal, Mystahr and Controlled Dissonance. Jaly – Each color of the image below was assigned to a contributor, where the horizontal axis of the image represents time and the vertical axis of the image represents change. Contributing artists were: SIGHUP, Respirator, Normal, Mystahr and Controlled Dissonance. Augast – A simple closing collaboration where each participant contributes a five to six minute long piece created entirely with sounds made by stringed instruments. Contributing artists were: SIGHUP, Normal, Mystahr and Controlled Dissonance.